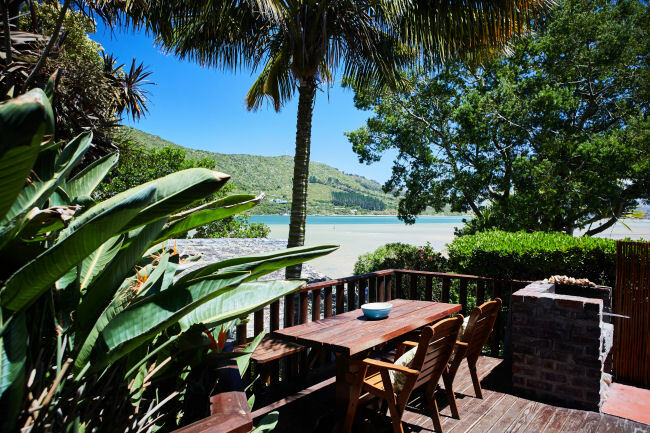 Milkwood Bay is a self catering villa with direct access to a stunning beach on the Knysna Lagoon and views to the Outeniqua mountains. Number Eleven enjoys breathtaking views over the scenic lagoon and offers the discerning guest luxurious, expansive living. 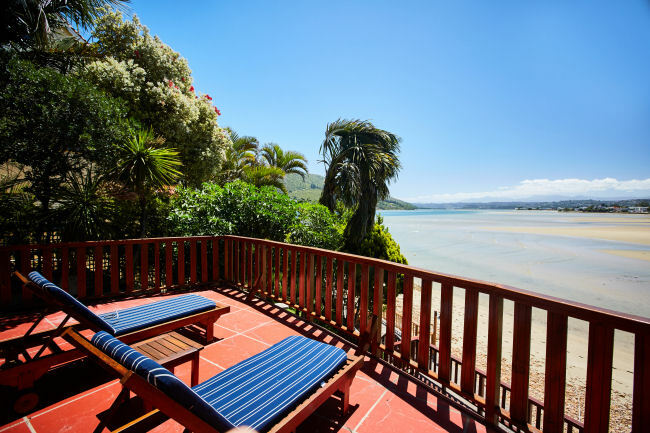 Paquita is a 3-bedroom self catering holiday house located on the shores of the Knysna Lagoon, with private access to the beach. On the shores of the famous Knysna Lagoon, lies a collection of timber log chalets nestled amongst the indigenous Milkwood trees. On the splendid Southern Cape Garden Route, about 500 km from Cape Town, Knysna is one of South Africa's most beloved holiday destinations. Nestled amidst leafy Milkwood trees, on the edge of the Knysna Lagoon, The Milkwood Collection offers a variety of self-catering accommodation to suit everyone’s taste. 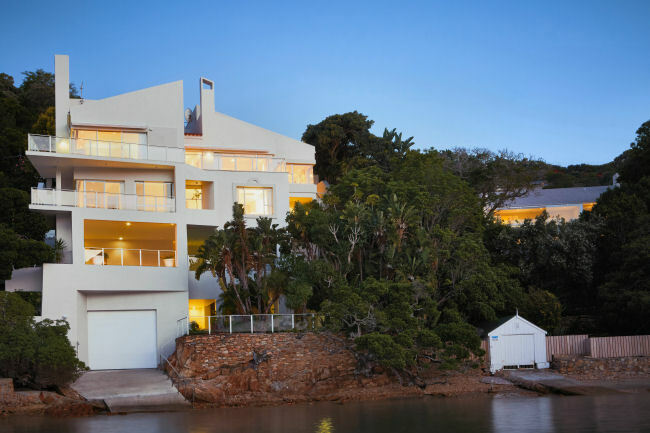 Our waterfront villas, Milkwood Bay and Number Eleven, offer five-star luxury with private swimming pools. For more affordable options, choose between Paquita - a villa perfectly situated on the water's edge - or one of Under Milkwood's 16 cosy timber chalets. Our properties are a short amble away from the famous Knysna Heads - the two impressive sandstone peaks guarding the Knysna Lagoon entrance which opens in to the Indian Ocean. The Milkwood Collection is one of the few establishments in the area with direct access to the beach. The lagoon's calm and shallow shores allow safe swimming for kids and endless opportunities for water sports. The only challenge every morning is to decide between paddling a complimentary kayak or SUP board, or enjoying a casual stroll across the wide stretch of beach during low tide. Uninterrupted views over the ever-changing lagoon towards the Featherbed Nature Reserve and the Outeniqua Mountains in the distance, add to the natural beauty. Knysna's temperate climate and the combination of forest, lagoon and nearby ocean make it an ideal year-round destination. A host of exciting adventures awaits you on both the lagoon and in the surrounding area, which boasts several world class golf courses, cycling and hiking trails, bird watching, fishing, a myriad of family activities, and annual events such as the Knysna Oyster Festival. We offer daily housekeeping and for your convenience, a laundry service, pre-ordered groceries as well as babysitting can be arranged. Milkwood Bay is an exclusive five-star, self catering waterfront villa with direct access to a stunning beach on the Knysna Lagoon. Number Eleven, a five-star self catering villa with unparalleled lagoon views, has been refurbished to a very high standard. Paquita is a self catering family home nestled on the edge of the tidal waters of the Knysna Lagoon - the perfect holiday base. On the tidal shores of the famous Knysna Lagoon with direct access to the beach, lies a collection of 16 self catering timber chalets.